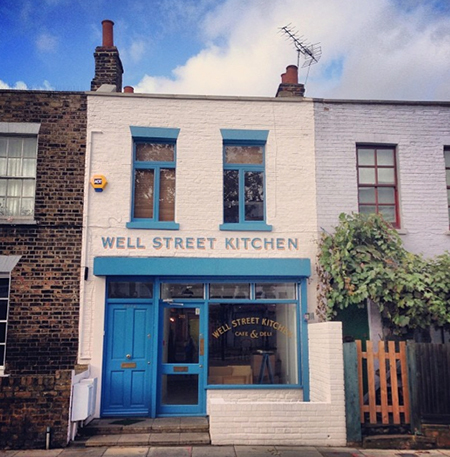 Well Street Kitchen is a small and friendly cafe serving tasty food and good coffee to have in or take-away. We are located on the historic Well Street Market in the heart of Hackney. Using the freshest sourced produce we serve breakfast classics and creative alternatives, as well as hearty lunchtime fare. We also host regular pop up evenings with a variety of chefs and cuisines. We don’t take bookings for brunch, but our pop ups take reservations please get in contact with your preferred event to make a booking.